DJ Khaled Only Allows Positivity and Love On His Feed. Here’s Why. 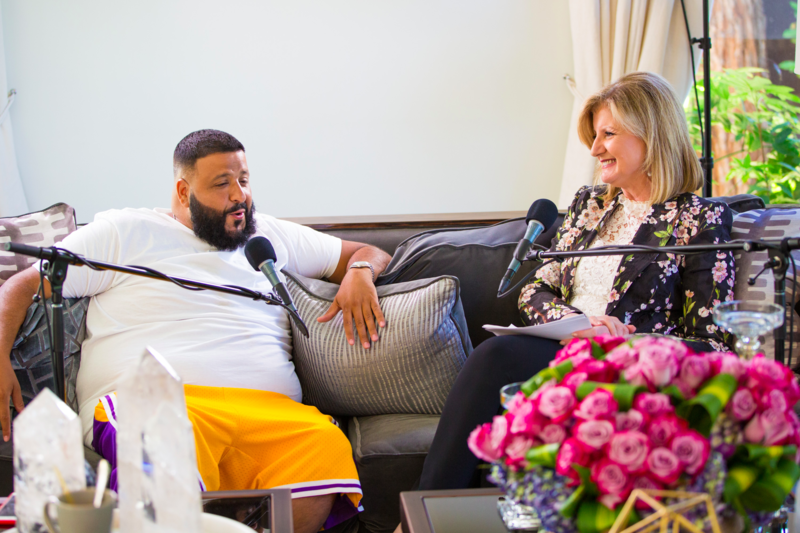 DJ Khaled joined Arianna Huffington on Thrive Global podcast, where he opened up about the side of social media we don’t always see. Arianna Huffington crowned DJ Khaled the “king of social media,” which, considering his 11 million followers, is pretty accurate. The Grammy-nominated recording artist and best-selling author has taken the music industry and the Internet by storm, and he joined Huffington on The Thrive Global Podcast, in partnership with iHeartRadio and Sleep Number, to talk about the negative side of growing an online empire. Although we can’t expect everyone to delete their accounts entirely, Khaled pointed out that there are steps individuals can take to set healthy boundaries with these addictive platforms – and he has done so himself. “What I do…[is] follow anybody out there that’s inspiring, motivating, or putting out great energy or love out there,” he noted. By only following accounts that encourage positivity and encouragement, we can somewhat control what we see when scrolling through our feed – but the solution may start with our own posts. “If you notice, what I put out on social media… if it’s not [providing] inspiration or motivation or a great message, then I don’t need to put it out there,” he said.